Back in October, The Digital Arts Experience (The DAE) began their inaugural Girls STEM Academy class on Thursday evenings. This 12-week introductory program covered 3 different computer programming languages: Scratch, Python and Java where students spent 4 weeks on each topic. Each girl worked hands-on in a small, project-based classroom setting to explore these powerful coding languages with seasoned DAE instructor, Emily Angell. Emily has been teaching classes at The DAE since its inception over 2 years ago. With a degree in audio engineering, she started out teaching music classes. Seeing Emily’s excellent teaching skills and ability to connect with her students, The DAE wanted to challenge her even further. Soon thereafter, Emily started learning Scratch, a code free introduction to computer programming that empowers students to create stunning animations, games, interactive art and more, with the intention of teaching it at The DAE. 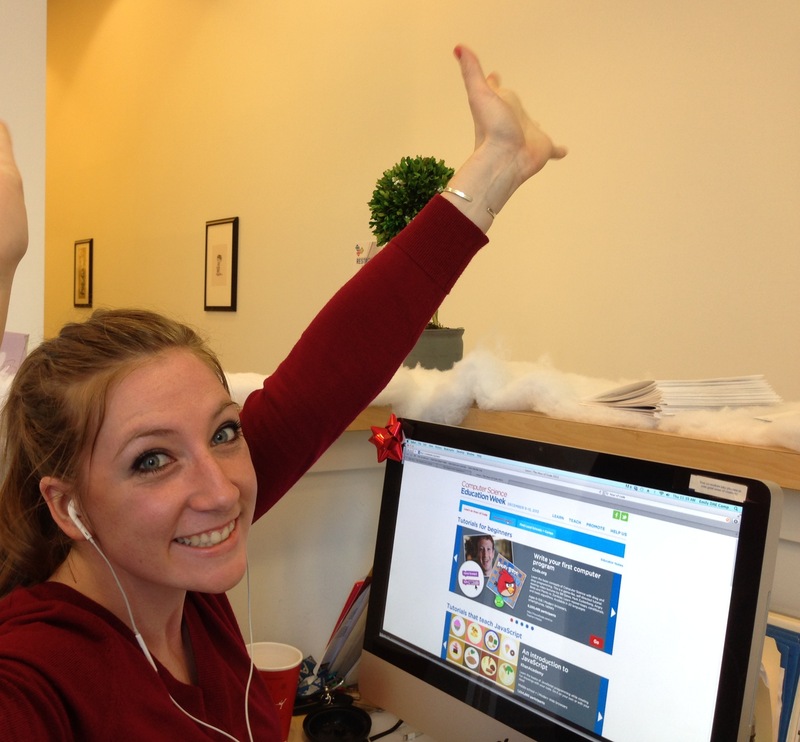 Emily Angell, Scratch instructor at The Digital Arts Experience excites her students and makes learning fun! Fast forward more than a year later, Scratch has taken off as one of the most popular, successful classes run at The DAE thanks to Emily’s ability to learn the material and translate it into an educational, challenging, but most of all fun program for the students! When asked to take on the challenge of learning Python and Java, Emily never once hesitated or gave push back. In fact, she was eager to take her teaching skills to the next level. 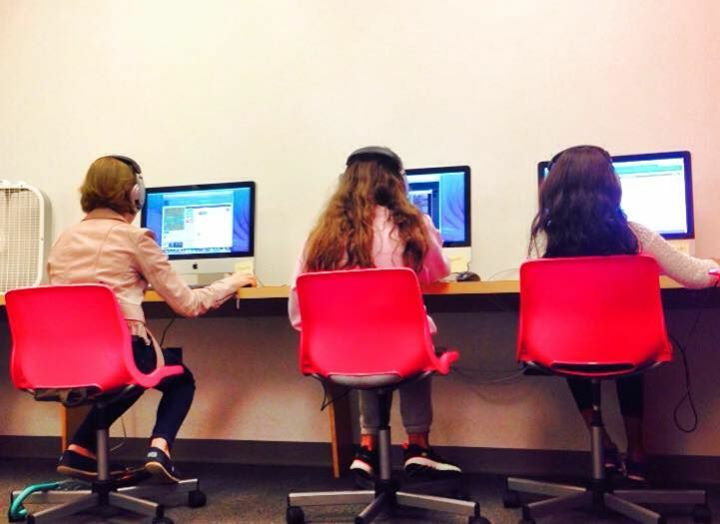 The Digital Arts Experience (The DAE) is dedicated to providing quality and enriching STEM programs to young women and girls in Westchester County, NY. Being a strong proponent of STEM-powered programs, The DAE also strives to empower young women and encourage them to partake in non-traditional fields that are most typically dominated by men. The DAE runs after school programs and summer camps for kids and teens in White Plains, Westchester NY using the most up to date digital arts tools and technologies. It’s mission is to facilitate learning in an open, collaborative, hands-on environment that fosters creativity, critical thinking, and openness. Students at The Digital Arts Experience in White Plains, Westchester, NY, Girls STEM Academy learning Scratch, Python and Java coding taught by Emily Angell. Landscape shot of The Digital Arts Experience Girls STEM Coding Academy class in session. STEM careers are the fastest-growing jobs in the United States, yet women make up only about a quarter (24%) of STEM workers. The 2013 average salary in Computer Science was $59,977. Nearly $10-$20,000 more than other fields commonly occupied by women. Although the number is increasing, there are still more men consistently earning Science & Engineering doctorates. In 1991, 17,214 men earned Science & Engineering doctorates compared to 7,481 women. In 2011, 15,364 women earned Science & Engineering doctorates compared to 20,887 men. Interested in learning more about The Girls STEM Academy at The Digital Arts Experience? Custom and private classes also available. Feel free to e-mail Cristina@TheDAE.com.